New Episode of our own Vlog on YouTube Tsar Events' RUSSIA SURVIVAL GUIDE with Maya Krivchenia» is devoted to one of most beautiful and unique venues in Russia - Oak Hall of Grand Duke Vladimir Palace. Please, check it here. Grand Duke Vladimir Palace was the last imperial palace to be constructed in Saint-Petersburg, Russia. It was designed by a team of architects (Vasily Kenel, Aleksandr Rezanov, Andrei Huhn, Ieronim Kitner, Vladimir Shreter) for Alexander II's son, Grand Duke Vladimir Alexandrovich of Russia. Construction work lasted from 1867 to 1872. Like the Winter Palace and the Marble Palace, the Vladimir Palace fronts Palace Embankment; water frontage on the Neva was extremely prized by the Russian aristocracy. The façade, richly ornamented with struccorustication, was patterned after Leon Battista Alberti's palazzi in Florence. The main porch is built of Brenen sandstone and adorned with griffins, coats-of-arms, and cast-iron lanterns. Other details are cast in portland cement. The palace and its outbuildings contain some 36 rooms, all decorated in disparate historic styles. Dinner can be served in Oак Hall (160 pax), Small Banqueting Hall (40pax) or White Hall (120 pax). Table settings can be provided in various colors and motives depending on if providing a classical evening / seating or folkloristic themes and table settings with Russian Samovars and Russian Scarf's instead of table cloth. The Cocktail can be arranged at the entrance to the Main Room or in the Staircase. 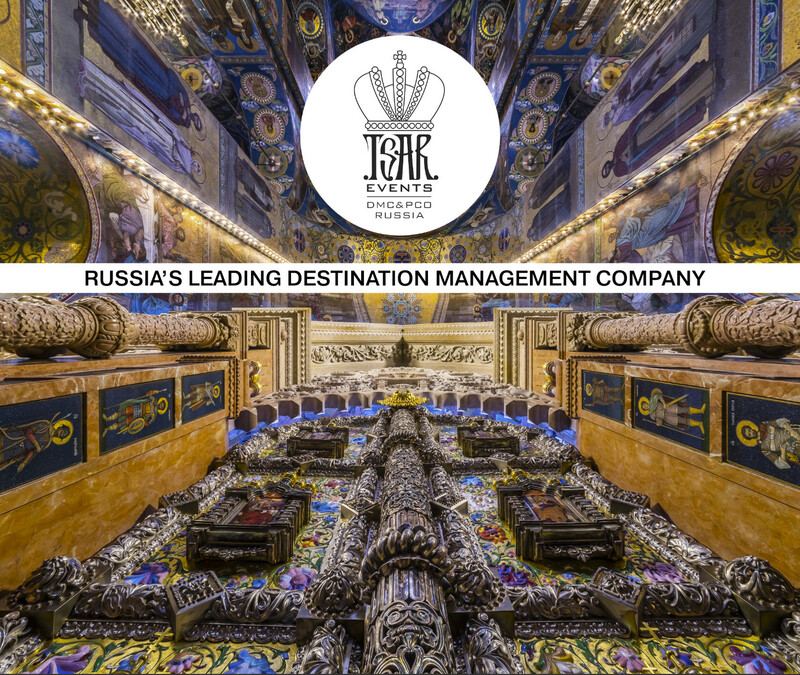 Tsar Events Russia DMC & PCO, Hosts Global Member can offer you different tymes of entertainment during your events — from classical private Ballet performance to Modern DJ or Cercus show.